The weather is beautiful here at the moment. The kids are loving running around outside, having water fights and swinging on the swing. 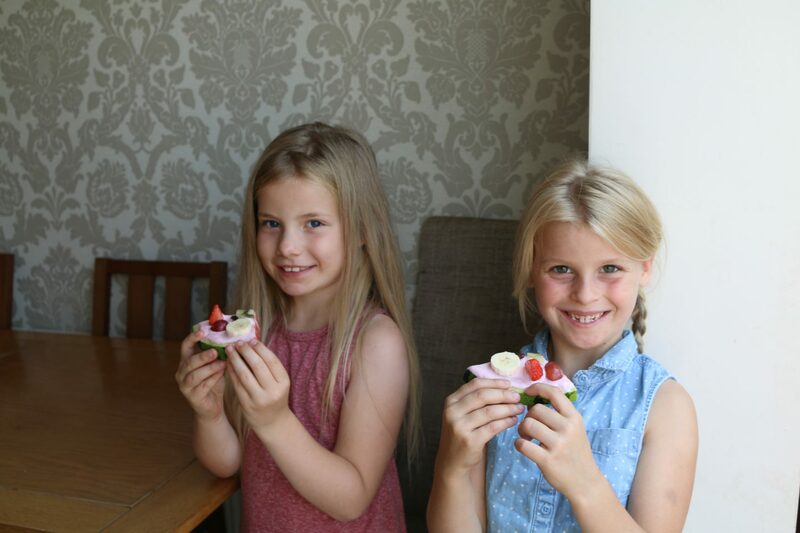 Getting them to eat fruits gets a little boring! So I thought I would make it a little more fun. 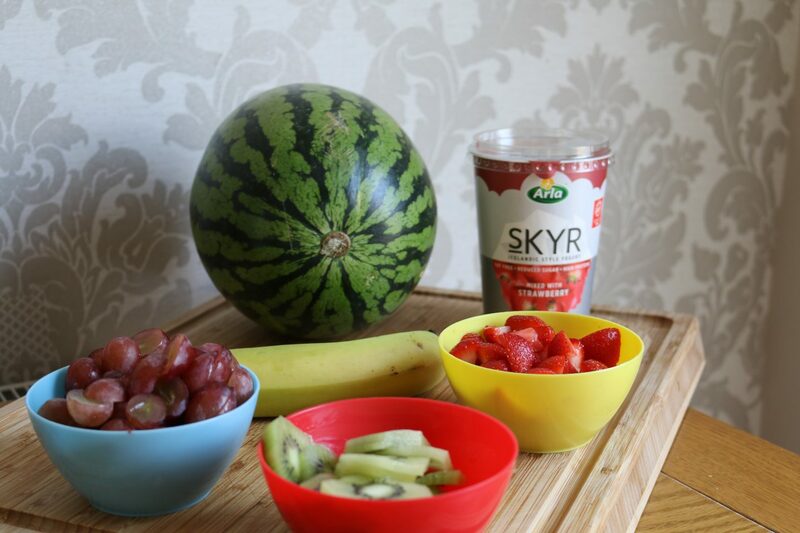 All you need is a watermelon, all your favourite fruits and yogurt of your choice. 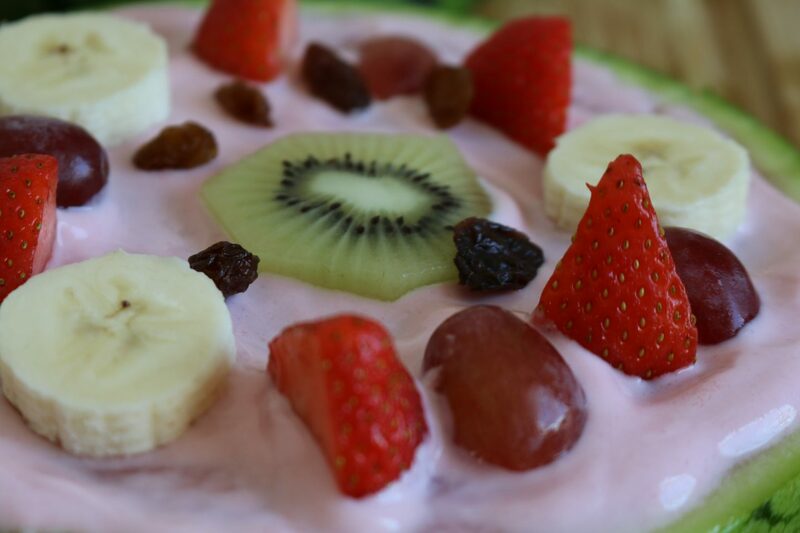 We used grapes, strawberries, kiwi and banana. I also added a few raisins last-minute. 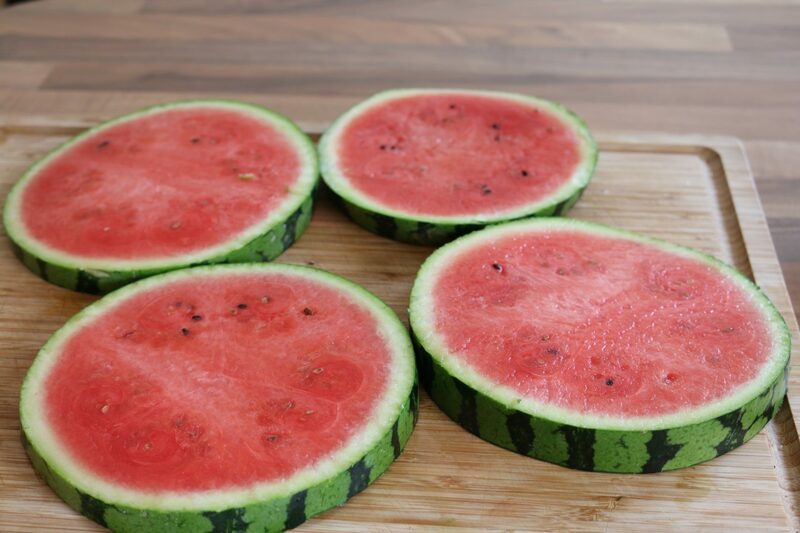 You chop the water melon into round slices so they look like a pizza base. Then spread over your yogurt. 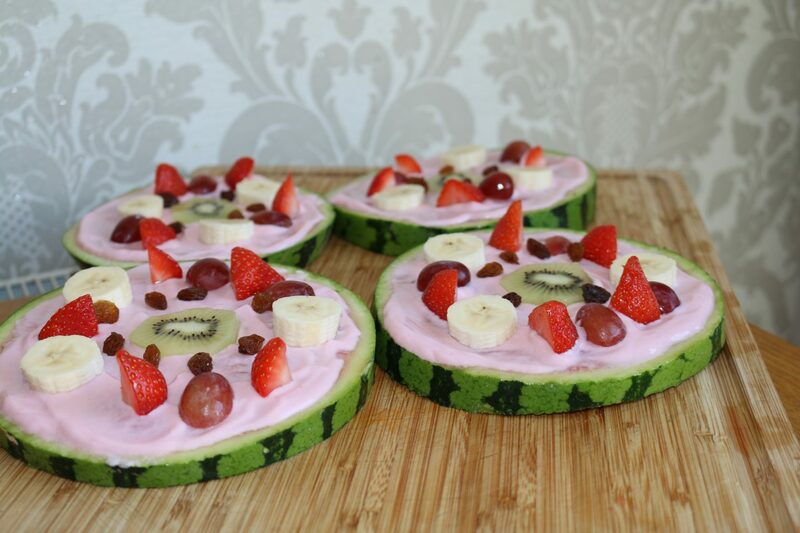 Then make them look as pretty as you like with all the fruit. 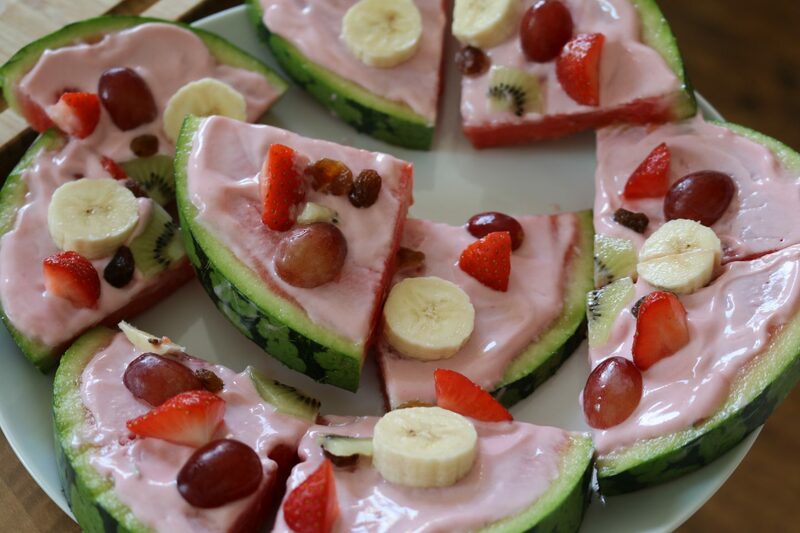 I sliced them into triangles so they look like pizza slices and served to the kids. They all loved them, even their friends who were round for a play date thought they were brilliant (it also looks a little fancy ?). 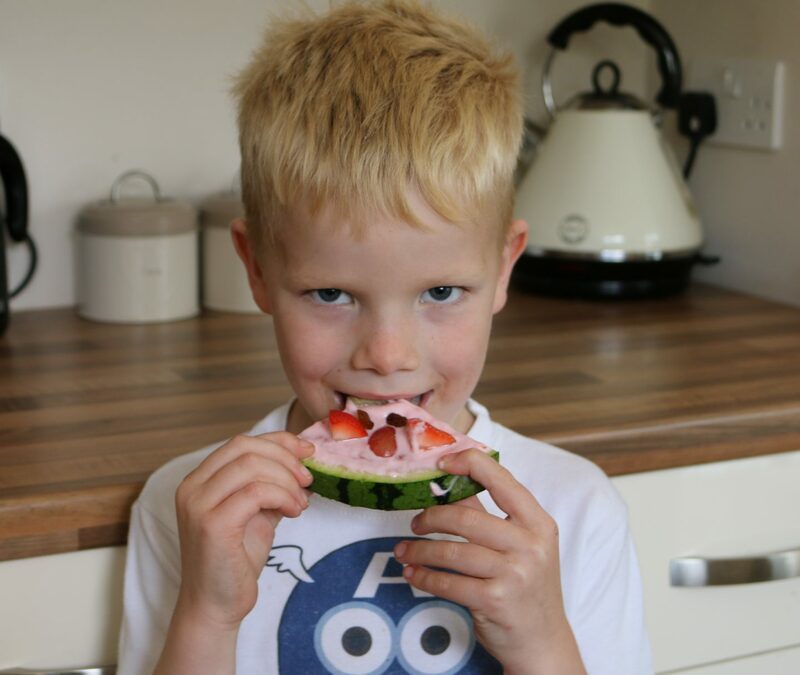 It’s a fun and easy way to get them to eat their fruit and they taste amazing. 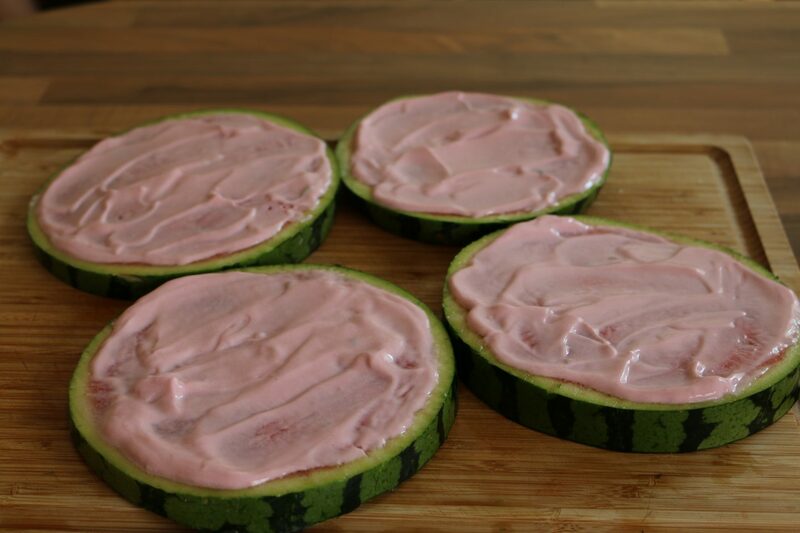 They are so refreshing in this warm weather as well. Let us know if you make these and share your photos with us.